Father's Day Sojourn Kids Music by Bill Bell Male singer and guitarist: "Hi, I'm Mr. (First name)"
Female singer: "I'm Ms. (First name)"
Guitarist/other instrumentalist: "I'm Mr. (First name)" Male Singer/Guitarist: Does anyone know what holiday we celebrate this month? That’s right, Father’s Day. Father's Day is a day that our whole country celebrates daddies. Dads are the ones who protect their families and care for them in hard times. When you fall and scrape your knee, it might be your daddy who picks you up and holds you while you cry. Can you tell of other times where your daddy cared for you in hard or painful times? (take 2 or 3 stories) Well, God the Father is like that, but even more so. He cares for us perfectly and is always there when things are good or bad. This song tells about this Father, who cares for all his children every moment of every day. 2. “Romans 5:8 (NIV) Scripture Memory Song,” Music by Mark Altrogge, as Recored on “A Ransom For Many,” Hide The Word, Volume 2 © Forever Grateful Music Male Singer/Guitarist: Some of you may have daddies that you see every day. Some of you don’t have a daddy who’s around very much. Some of you may not have a daddy at all. Whether your dad is around a lot or not, no dad is perfect because every dad is a sinner just like I am and just like you are. Because we all sin, we fail not only to love each other perfectly, but also to love God perfectly. When we or daddies or mommies or whoever should show love all the time, we fail and show anger or meanness or rudeness or disrespect. But God the Father has a love that is unending. For those that believe in him, he never turns his back, never fails, never leaves, never lets go. His love lasts forever. Guitarist or other instrumentalist: We are going to pray. . . fold your hands and be still and talk to God. Let's pray. Thank you, God, for sending your Son to die on the cross so that all who believe in you can call you our heavenly Father. And thank you for letting us see what your love and care is like through our daddies here on earth. Help us to honor our fathers. Please show special grace to our dads as they love us. Help them to trust in Jesus alone for salvation and hope. God, help our dads to teach us about you every day. In Jesus name we pray, Amen. Listen to Kyle Noltemeyer and Chandi Plummer rock out to this new song! We'll close out our Easter music liturgy with this one. Here is the chord sheet as well. Blessings! VERSE 1: Love. God loves you. Love. God loves me. Love. God is love and God loves you and me. CHORUS: God's love goes on forever (2x) God's love goes on for-ev-er-more! VERSE 2: Love. Jesus came. Love. Jesus died Love. on the cross and He rose up from the dead. VERSE 3: Love. Love Jesus. Love. Love Him first. Love. Love all people as you love yourself. EASTER MUSIC LITURGY (15-20 minutes) Singers introduce themselves. Singer 1: This month we celebrate Easter! Why do we celebrate Easter? What is Easter? Allow children to answer: Jesus died on the cross. Jesus died for my sins. Jesus is risen from the dead. Fill in any part left out and encourage right answers. Gently correct wrong answers. Let's start this morning by remembering the Easter story and saying, "HALLELUIA!" Call and Response: Singer 2: Hallelujah means, "Praise the Lord!" Say, "HALLELUIA!" (HALLELUIA) Now say, "PRAISE THE LORD!" Listen to what I say and when I pause say, "HALLELUIA!" Leader: Jesus is God! Jesus is Lord! Children: HALLELUIA! Leader: Jesus suffered and died on the cross for my sins! Children: HALLELUIA! Leader: Jesus was dead! But death could NOT keep Jesus! Children: HALLELUIA! Leader: Now Jesus is alive! Jesus is risen! He rose from the dead! Children: HALLELUIA! Leader: Jesus is the champion! Jesus is victorious! He is the winner! Children: HALLELUIA! Leader: Now stand up and let's shout, "JESUS IS ALIVE!" ("JESUS IS ALIVE!") Repeat several times. Have children jump up and down chanting, "Jesus is alive!" Singer 2: We are going to sing a song to help us memorize a Bible verse, Romans 5:8. "But God demonstrates His own love for us in this, while we were still sinners Christ died for us." So how has God shown us He loves us? (Answer: While we were still sinners Christ died for us.) Yes! "God demonstrates His own love for us in this, while we were still sinners Christ died for us." Let's sing this together! Guitarist: Jesus is risen! (Have kids answer again: ALLELUIA!) JESUS IS RISEN! (Have kids answer again: ALLELUIA!) Singer 2: Let's pray! Let's fold our hands quietly, close our eyes, and talk inside our hearts to God. God sees in our hearts and He hears us: Jesus, You are the winner! Death did not win! You died on the cross for our sin. Thank You, Jesus. Jesus we want to love you and follow you all of our lives. Amen." 4. “His Love Will Last Forever,” Words and Music by Chandi Plummer © 2009 Chandi Plummer/Sojourn Music Rock it out! But the cross was not the end: By his death he conquered sin. No grave could keep him in. There is power in Christ who rose again. There is power in Christ who rose again. Jesus came in the flesh living without sin; Yet he took our sin and shame. He endured the wrath of God we deserved to bear So God’s love would be displayed. For the cross was not the end: By his death he conquered sin. No grave could keep him in. There is grace in Christ who rose again. There is grace in Christ who rose again. For the cross is not the end. Through his death we’ve died to sin When by faith we cling to him. Knowing death is dead, we’ll live again. Knowing death is dead, we’ll live again. Note:This is a re-post of the most viewed page on the SojournKids site in its history. If you are planning to use our lesson plan at your church for Easter, then please let us know in the comments how it goes. We'll definitely use your feedback to tweak what we do at Sojourn in the future. Original Easter song by Bill and Courtney Bell, “The Cross Is Not The End,” (2009). What makes Jesus different from every other religious leader in history? What makes him different from every other human being in history? He lived a sinless and righteous life. So, death had no claim on him. It could not hold him. Jesus was, as the apostle tells us, “vindicated by the Spirit.” Jesus Christ was raised from the dead. He is alive! He is risen! He is risen indeed! GATHERED STORY (5-10 minutes): Don’t just read it. Know it and bring it to life! Good morning, boys and girls! (Good morning!). Let me tell you a story. This is a story about what happened after Jesus died on the cross. Jesus died on a Friday. It was a very sad day. It was sad because Jesus’ friends didn’t know what was going to happen. They didn’t understand why Jesus had to die. Late on that Friday afternoon, Jesus’ body was taken down from the cross. It was wrapped in long strips of cloth. And it was buried in a rich man’s tomb. A large stone was rolled over the entrance to the tomb, and soldiers were standing outside to make sure that nothing happened to Jesus’ body. Jesus was dead. 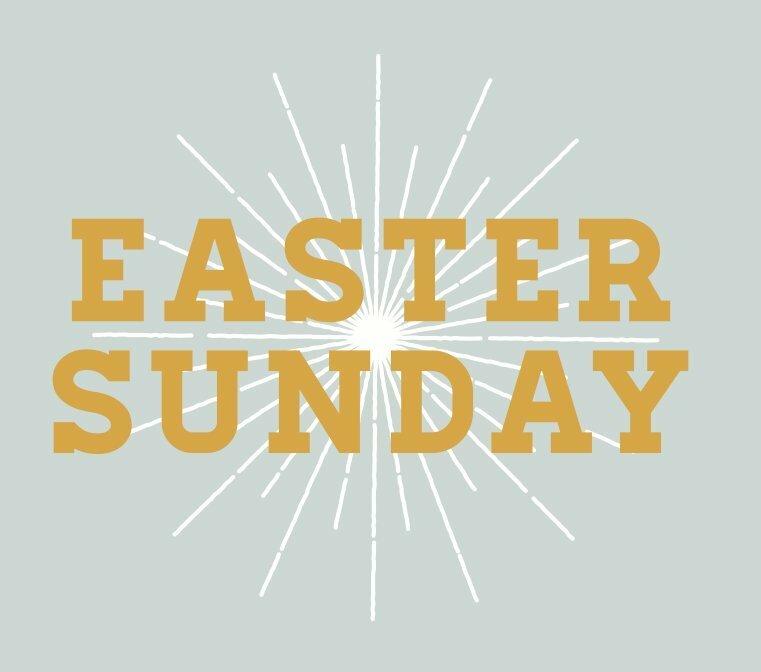 Early on Sunday morning when it was still dark, Jesus’ friend, Mary Magdalene, went to the tomb and saw that the large stone that was rolled over the mouth of the empty tomb was gone! So, she ran away. The friend and Peter looked inside the tomb. They saw the strips of cloth that had been wrapped around Jesus’ body. They saw the cloth that had been put on Jesus face. It was neatly folded in a corner of the room. The second friend saw and he believed. What did he believe? Jesus was dead, but God raised him to life. Do you believe that Jesus is alive? (Pause). A man came to Mary. He said, “Why are you crying? Who are you looking for?” Mary said, “If you took him away, please tell me where he is. I’ll go and get him.” He said her name, “Mary.” It was Jesus! He had been dead. But now he was alive! Now Mary believed! She wanted to touch him and hug him! Jesus said, “Not yet. I’m going to the Father. And he is your Father too!” Then, Mary ran away. Why do you think Mary ran this time? Let the children answer. Mary had good news! She was going to tell her friends, “I have seen Jesus! He was dead! But now He is alive! He is risen! And he is giving us life, so that we can live with the Father again!